Bath & Body Works has an new coupon! Save 30% off when you spend $30 or more! Some other deals in-store include 6 for $23.50, or 4 for $18.50 on hand soaps, Buy 3 Get 3 Free Signature Body Care. 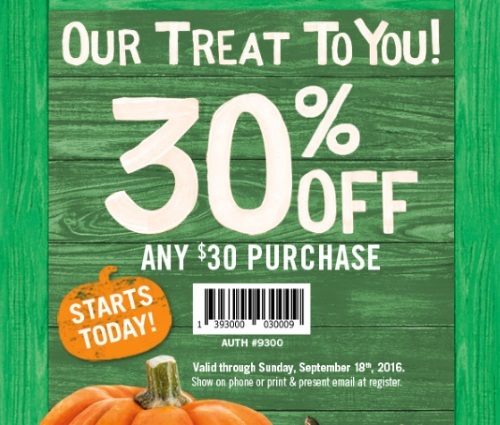 This coupon is valid until Sunday, September 18 2016. Show it on your mobile device or print it out to get the discount.